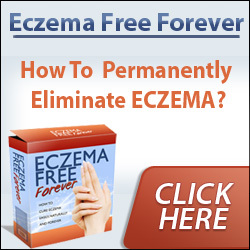 Eczema is a detoxification (often of drugs or medications) through the skin. Because it can be worsened by eating cooked eggs and cooked fat, especially pasteurized milk and cheese, these foods should be abandoned. To heal this condition, after bathing, rub fresh aloe vera, avocado, and papaya into the eczema every other day. If you have eczema (dry skin and eruptions) consider at least 6 colonics initially to allow the body to detoxify through the colon, rather than through the skin. If colon hydrotherapy is not available, daily warm-water enemas while fasting on grapefruit juice will be helpful. A raw herbal cleanse, such as the EJUVA program, can work wonders for those with eczema as I have seen first hand several times (for more on EJUVA, see Resources at the end of this book). How To Safely Detoxify Your Body And Revitalize. Here's A Step-By-Step Plan To GetA Proper Mindset, Get Positive,And Most Of All... Find Your Special, Customized Detox Plan.